If you couldn’t tell by now, Houston Loves Museums! A new campaign has been launched as part of Houston’s AAM preparations, to promote Houston’s spectacular and diverse museum community. 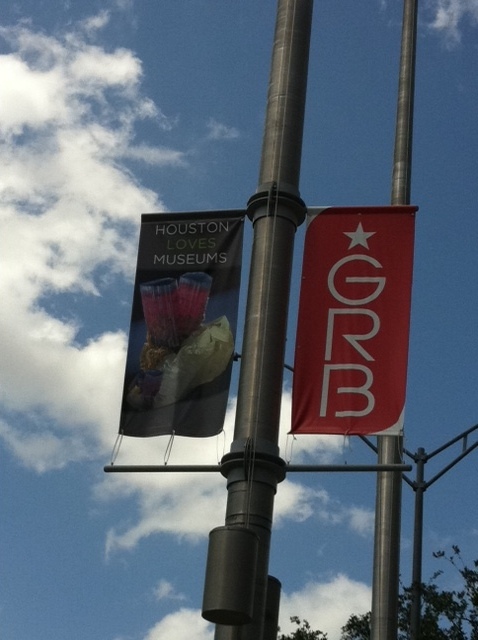 There are beautiful banners on signs surrounding the George R. Brown Convention Center with vibrant images from Houston’s museums. Be sure to check them out, when you are out and about and heading over to Discovery Green to partake in the free entertainment and explore the P.O.D.A Project. 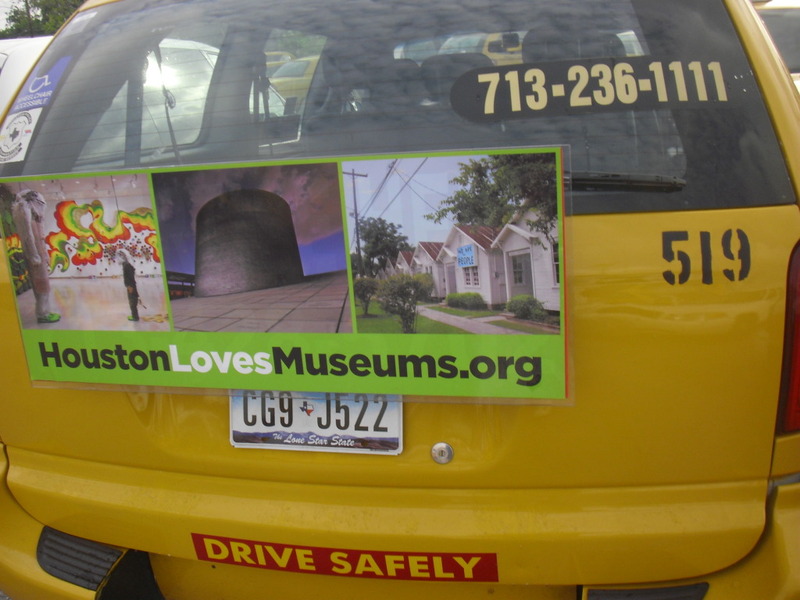 Our partnership with Yellow Cab Houston means there are Houston Loves Museums placards with more stunning images from museums from all over the city on the backs of cabs as they rove around Houston. Flag those cabs down and thank them for their support; use them to explore our great city. And, if you ask for a taxi cab receipt, look at the back of that and you’ll likely see a Houston Loves Museums message. Hang on to it as a souvenir! There’s a new website we are working on – houstonlovesmuseums.org – which will be home to a linked list and interactive Google map of the more than 150 museums in the greater Houston area. Since the site isn’t fully up and running yet (the list is there, but the links aren’t active yet), we wanted to give our AAM friends a sneak peak of the interactive map, so that you can use it while you are museum hopping. Check out the Houston Loves Museums ad in the Museum Guide that was in your AAM tote bag, and ran in the Houston Chronicle on Sunday. And of course, be sure to check out the Houston Loves Museums Art Car in the Expo Hall before 2 pm on Wednesday. AAMers: we hope you are able to make it to our museums. We’ve love having you in our city! 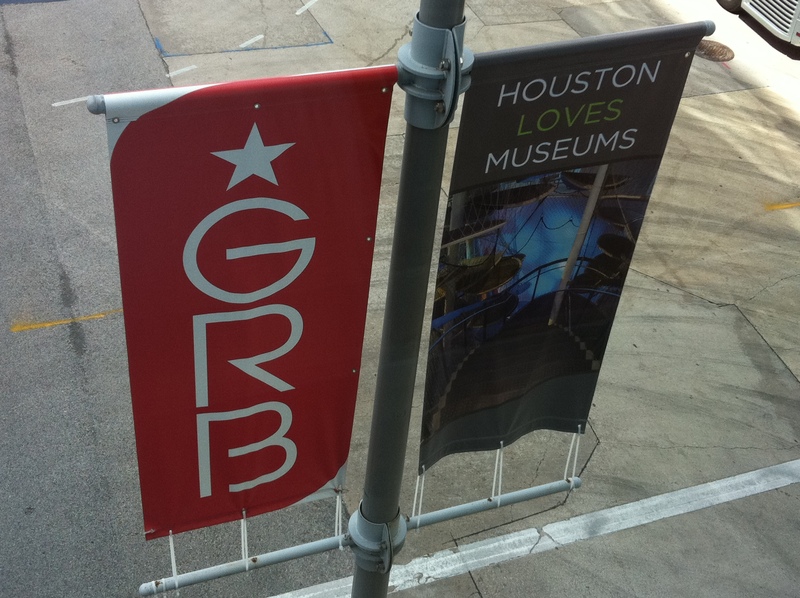 And let us know what you think about Houston Loves Museums! Houstonians: Visit your museums! Enjoy the air conditioned cultural hotspots during what is sure to be a hot Houston summer.